DISCLAIMER: The views and opinions expressed in this recap are the host’s own and do not reflect the opinions, views, and stances of oprainfall as a whole. You mind sending a few of those Megavitamins my way Doc? 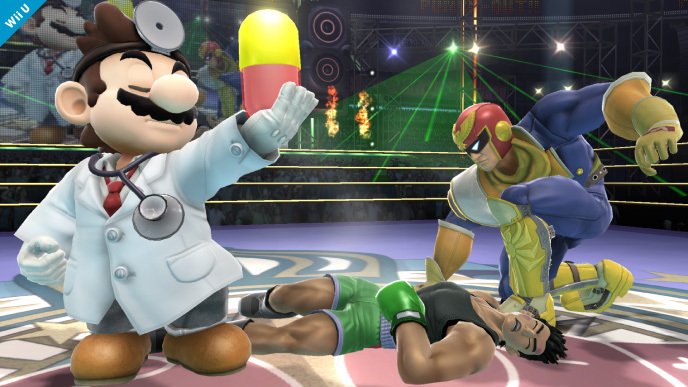 I think I’m in the same boat as Little Mac there. This is Operation Recap where we take a look at the week that was and try to catch you up on stories you might have missed. …Or at least it’s supposed to be. Sadly I’m under the weather and I doubt I could make it through a 15-20 minute recap without coughing every few seconds. As such, there is no video this week, but I still wanted to at least give you a list of all the news that was for the week in case you missed something. RUMOR: Bandai Namco Working on NX Software, Smash Bros. This week was a mixed bag as you can see. Some expected things (Valkyria Chronicles), some surprises (Seinarukana and Compile Heart’s mystery game) and some disapointments (Fire Emblem, Mighty no. 9 and Bravely Second) However, overall there’s still a lot of great things coming down the pipeline, it seems. Take a listen if you haven’t already to this week’s episode of Total Control. Not only do we speak with Brandon Jones about Lumin: Land of Light, but we also have quite the in-depth debate about how we each feel regarding the changes to Street Fighter V and Fire Emblem. Fans of Keiji Inafune are some of the most loyal and patient people you will find considering all the man has gone through to bring us awesome games over the years, but even their patience has to be wearing thin with this latest delay. To put it into perspective Mega Man 2 was developed in about three to four months. Mighty No. 9 has been in development since 2013. While the landscape of game development has indeed greatly changed since the days of the NES, I just find it amazing that one of the greatest 8-Bit games was developed in such a short time, while it’s current day spiritual successor has been stuck in development hell for so long. Sorry once again everyone, but I hope to be back next week to discuss the week’s news with you all. In the meantime, please be sure to subscribe to us on YouTube, follow us on Facebook & Twitter, and leave us some feedback in the comments below. If you can, also please consider supporting us by using our affiliate links to order things. Have a wonderful week and I’ll see you on the next Operation Recap! Matta Raishuu!